In her third SuperSoul Conversation, best-selling author, spiritual life coach and TV host Iyanla Vanzant discusses one of life's most difficult lessons: learning to trust. Based on her book “Trust,” Iyanla explains the importance of mastering what she calls the four essential types of trust: Trust in Self, Trust in God, Trust in Others, and Trust in Life. She believes that without these four types of trust, we cannot flourish. Iyanla stresses the significance of building your trust muscles on a daily basis through spiritual practice. She believes restoring faith in ourselves is the only path toward letting go of anger and ultimately experiencing the contentment we all crave. Iyanla is the host and executive producer of OWN’s award-winning series “Iyanla: Fix My Life.” She is also a minister, a mother and the author of more than 15 books. one of the best podcasts. thank you to you both! In a live appearance at UCLA’s Royce Hall, Michael Bernard Beckwith, spiritual pioneer and founder of the world-renowned Agape International Spiritual Center, discusses what he calls the four stages of unfolding. Michael explains the stages are an intensive process of spiritual development for people seeking to be in alignment with their life’s purpose. “We’re not in this world to get anything--we are in this world to let something unfold from within us,” he says. In a live appearance at UCLA’s Royce Hall, research professor, social scientist, New York Times best-selling author and TED Talk sensation Dr. Brené Brown discusses the fundamentals of trust. Brené explains how she was moved to focus on the topic after watching her daughter struggle with a betrayal of trust. Brené says she eventually found a way to teach her daughter to build trust and identify the people in her life who deserve it. She also explains why gossip harms relationships more than we realize and creates an intimacy that isn’t real. In a live appearance at UCLA’s Royce Hall, New York Times best-selling author, happiness expert and Harvard-trained researcher Shawn Achor says that pleasure isn't the only thing that brings people happiness. How do you explain the joy felt during spiritually and emotionally challenging moments, such as when your legs are burning halfway through a marathon or when you cradle your 1-year-old in the middle of the night until she falls back to sleep? He offers a definition of happiness that encompasses all things that bring us deep, lasting joy. Shawn also explains how by making a single positive behavioral change, you can spark a powerful chain of happiness in your own life. In a live appearance at UCLA’s Royce Hall, New York Times best-selling author and transgender advocate Janet Mock says she grew up “othered” and was taught that “normal” was the path to success and contentment. However, what she learned was something entirely different. Janet speaks about the deep space of lack in marginalized communities caused by a society that closes its eyes to the problems of people who are different. No matter where you are in life, Janet says, there's one question we all need to ask ourselves: “Who am I to me?” Janet believes that asking herself this question led to answers that emboldened her and built the foundation on which she stands today. With deeply personal stories and humorous memories, Janet shares what she calls her path to authenticity. How do you say “no?” In a live appearance at UCLA’s Royce Hall, author, life coach and host of OWN’s trailblazing show “Iyanla: Fix My Life,” Iyanla Vanzant shares how you can build your "no" muscles. Iyanla says decisions matter and so do you! She mixes spiritual teachings with her unique brand of humor, including a hilarious anecdote about showing up to The Home Depot looking “tack-a-licious,” which led to a realization about self-valuation and how she presents herself to the world. 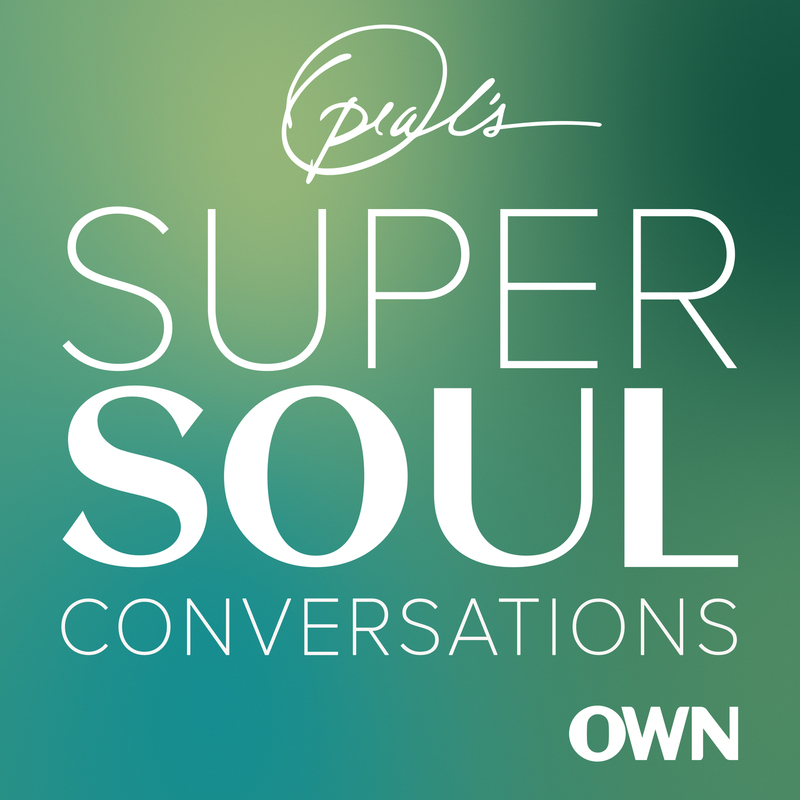 On a special edition of “SuperSoul Conversations,” Oprah Winfrey presents her new book, “The Path Made Clear: Discovering Your Life’s Direction and Purpose,” featuring some of the most profound insights and Aha! moments. In this follow-up to her New York Times best-selling book “The Wisdom of Sundays,” Oprah shares her own key lessons and the personal stories that helped set the course for her best life. Hear from luminaries and trailblazers in a wide array of fields share the life lessons that helped them find meaning and purpose in their own lives: A.R. Bernard, Sue Monk Kidd, Shefali Tsabary, Elizabeth Gilbert, Caroline Myss, Brian Grazer, Lin-Manuel Miranda, Tracy Morgan, Sister Joan Chittister, Wintley Phipps, Shauna Niequist, Wes Moore, Amy Purdy, Adyashanti, Steven Pressfield, Iyanla Vanzant, Michael Singer, India.Arie, Gary Zukav, Michael Beckwith, Carole Bayer Sager, Janet Mock, Brene Brown, Barbara Brown Taylor, Marianne Williamson, Brother David Steindl-Rast, Shonda Rhimes, Jay-Z, Eckhart Tolle, Joe Biden, Tracy McMillan, Glennon Doyle, Stephen Colbert, Thich Nhat Hanh, Gloria Steinem, Jimmy Carter, Lynne Twist, Bryan Stevenson, John Lewis, Cicely Tyson, Jordan Peele, Trevor Noah, Jeff Weiner, Goldie Hawn and Elizabeth Lesser. If you are feeling stuck or at a crossroads, wondering if there is more to life, “The Path Made Clear” provides inspiration and guidance to help you discover not only who you are, but who you are meant to be. In a live appearance at UCLA’s Royce Hall, acclaimed author, motivational speaker, ordained minister and life adviser Tim Storey explains why we weren’t created to live an "almost" life. Tim urges us to not let the inevitable setbacks in our lives push us too far off course, and shares how we can transform a setback into a comeback at any age. Tim mixes humor with heart, sharing his personal insights on how to remain the best versions of ourselves. In a live appearance at UCLA’s Royce Hall, Oprah explains why it’s important for all of us to find our own truth. “What is the truth of me? Why am I here? And what do I have to offer?” Oprah asks. 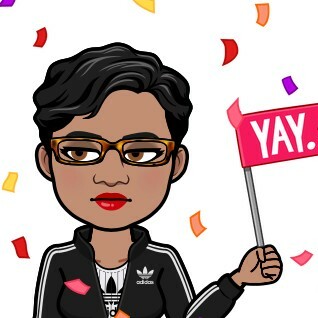 “The answer,” she says, “is yourself.” Oprah shares why you are enough, just as you are, and offers up the one question you need to ask whenever life throws you a curveball. She also shares what she wants everyone to stop doing right now. New York Times best-selling author Cynthia Bond discusses her first novel, “Ruby,” which is an Oprah’s Book Club choice. Cynthia says that as an adult she was flooded with painful memories of sexual abuse from her childhood. She found healing in a writing class and her work there eventually led to the idea for the novel that would take her 10 years to complete. “Ruby” was finally published in 2014. Cynthia says the message she wants to share in her book is about survival. "The lesson is that it is possible to not just survive anything, but it is possible to be a victor,” she says. “It is possible to be victorious over any obstacle. And that's something I know in my marrow. I know in my bones." Cynthia also talks about her years of teaching writing classes to the homeless and at-risk youth throughout the Los Angeles area. In her second SuperSoul Conversation, New York Times best-selling author Dr. Shefali Tsabary discusses the revolution of conscious parenting, creating an awakened family and raising confident children. Dr. Shefali shares teachings from her book "The Awakened Family." She provides daily tools for parents on how to manage expectations, avoid the pressure to succeed and embrace the child they have rather than dream of the child they want. Dr. Shefali challenges myths of traditional parenting and provides skills that allow children to grow into their own authentic selves. World-renowned spiritual thought leader Deepak Chopra welcomes Oprah to his homeland, India. Deepak discusses his groundbreaking work in the field of mind-body medicine, the life lessons he's learned from his family, and the influence that India's rich cultural traditions have had on his life’s work. Deepak explains how we can create harmony in our own lives. He says learning to move with the flow of life wherever you are is key to appreciating every moment. He also describes his life-changing experience as a Buddhist monk in Thailand. In this final episode, which focuses on Chapter 10 of “A New Earth,” Oprah and one of the great spiritual thinkers of our time, Eckhart Tolle, discuss how to bring your newfound consciousness into your everyday life. Eckhart also answers questions from people who are reading along in the book. The episode is part of a 10-part series on Eckhart’s ground-breaking book, “A New Earth: Awakening to Your Life’s Purpose.” These insightful and uplifting podcast conversations give you a chapter-by-chapter class on practical teachings to help you discover an enlightened state of consciousness. You’ll learn how to quiet your mind, get your ego in check and live a fully present life. In this episode, which focuses on Chapter 9 of “A New Earth,” Oprah and one of the great spiritual thinkers of our time, Eckhart Tolle, talk about how aligning your life with your inner purpose can bring you greater joy and fulfillment. Eckhart also answers questions from people who are reading along in the book. The episode is part of a 10-part series on Eckhart’s ground-breaking book, “A New Earth: Awakening to Your Life’s Purpose.” For the next two Mondays, these insightful and uplifting podcast conversations give you a chapter-by-chapter class on practical teachings to help you discover an enlightened state of consciousness. You’ll learn how to quiet your mind, get your ego in check and live a fully present life. In this episode, which focuses on chapter eight of “A New Earth,” Oprah and one of the great spiritual thinkers of our time, Eckhart Tolle, discuss the importance of stillness, and how finding it can help you connect with the present moment. Eckhart also answers questions from people who are reading along in the book. The episode is part of a 10-part series on Eckhart’s ground-breaking book, “A New Earth: Awakening to Your Life’s Purpose.” For the next three Mondays, these insightful and uplifting podcast conversations give you a chapter-by-chapter class on practical teachings to help you discover an enlightened state of consciousness. You’ll learn how to quiet your mind, get your ego in check and live a fully present life. In this episode, which focuses on chapter seven of "A New Earth,” Oprah and one of the great spiritual thinkers of our time, Eckhart Tolle, discuss ways to help you discover who you truly are at your core. They also share an unexpected place to practice what Eckhart calls “diminishment of ego,” and Eckhart answers questions from people who are reading along in the book. The episode is part of a 10-part series on Eckhart’s ground-breaking book, “A New Earth: Awakening to Your Life’s Purpose.” For the next four Mondays, these insightful and uplifting podcast conversations give you a chapter-by-chapter class on practical teachings to help you discover an enlightened state of consciousness. You’ll learn how to quiet your mind, get your ego in check and live a fully present life. In this episode, which focuses on chapter six of “A New Earth,” Oprah and one of the great spiritual thinkers of our time, Eckhart Tolle, discuss how to spot the pain-body in yourself, how to contain negative thoughts, and why embracing life's difficult moments will lead to a stress-free life. Eckhart also answers questions from people who are reading along in the book. The episode is part of a 10-part series on Eckhart’s ground-breaking book, “A New Earth: Awakening to Your Life’s Purpose.” For the next five Mondays, these insightful and uplifting podcast conversations give you a chapter-by-chapter class on practical teachings to help you discover an enlightened state of consciousness. You’ll learn how to quiet your mind, get your ego in check and live a fully present life. In this episode, which focuses on chapter five of “A New Earth,” Oprah Winfrey and one of the great spiritual thinkers of our time, Eckhart Tolle, discuss how unresolved emotional pain can wreak havoc in people's lives and relationships. Eckhart also answers questions from people who are reading along in the book. The episode is part of a 10-part series on Eckhart’s ground-breaking book, “A New Earth: Awakening to Your Life’s Purpose.” For the next six Mondays, these insightful and uplifting podcast conversations give you a chapter-by-chapter class on practical teachings to help you discover an enlightened state of consciousness. You’ll learn how to quiet your mind, get your ego in check and live a fully present life. In this episode, which focuses on chapter four of “A New Earth,” Oprah Winfrey and one of the great spiritual thinkers of our time, Eckhart Tolle, discuss how defining yourself by the roles that you play in life can keep you from knowing who you truly are. Eckhart also discusses the real key to finding lasting contentment and answers questions from people who are reading along in the book. The episode is part of a 10-part series on Eckhart’s ground-breaking book, “A New Earth: Awakening to Your Life’s Purpose.” For the next seven Mondays, these insightful and uplifting podcast conversations give you a chapter-by-chapter class on practical teachings to help you discover an enlightened state of consciousness. You’ll learn how to quiet your mind, get your ego in check and live a fully present life. Oprah Winfrey and one of the great spiritual thinkers of our time, Eckhart Tolle, present their 10-part series on Eckhart’s ground-breaking book, “A New Earth: Awakening to Your Life’s Purpose.” For the next eight Mondays, these insightful and uplifting podcast conversations give you a chapter-by-chapter class on practical teachings to help you discover an enlightened state of consciousness. You’ll learn how to quiet your mind, get your ego in check and live a fully present life. If you're seeking a more loving self, community and planet, “A New Earth” has the tools to begin your transformation. In this episode, which focuses on chapter three of “A New Earth,” Oprah and Eckhart discusswhat feeds our ego and how to be free of it through the simple power of awareness. Eckhart also answers questions from people who are reading along in the book. Oprah Winfrey and one of the great spiritual thinkers of our time, Eckhart Tolle, present their 10-part series on Eckhart’s ground-breaking book, “A New Earth: Awakening to Your Life’s Purpose.” For the next nine Mondays, these insightful and uplifting podcast conversations give you a chapter-by-chapter class on practical teachings to help you discover an enlightened state of consciousness. You’ll learn how to quiet your mind, get your ego in check and live a fully present life. If you're seeking a more loving self, community and planet, “A New Earth” has the tools to begin your transformation. In this episode, which focuses on chapter two of “A New Earth,” Oprah and Eckhart discuss the ego, the inner voice and identifying with possessions. Eckhart also answers questions from people who are reading along in the book.